A PERFECT TOOL FOR THE MIND! Abacus Math is the best math training to help young children understand number sense. 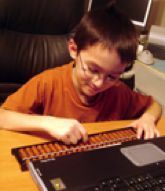 Abacus Math is also the best mental math training that is proven in the history.